Here we have provided a quick guide and general information about our holiday accommodation and also the services we provide. We are now providing a new reservations and availability service however this is currently only for Kontoyiannis House and the Sun Pearl apartments. Cyprus has had many problems recently with electricity and water. We ask all guests to please use electricity and water carefully and consider other guests. The Vasiliko power station is now under reconstruction and there are no longer electricity cuts since the Mari explosion last year. We are suffering from very high electricity and water bills so apreciate your treating these utilities with the same consideration as you would do in your own home. email her for Sun Pearl apartments and Moniatis Villa. We offer our guests assistance with planning their holidays from taxi transfers, car hire to booking cruise or tours. This is done on request. We require 20% deposit to secure a reservation. We now provide a secure online availability reservations system for bookings for Kontoyiannis House and the Sun Pearl apartments. just a few minutes walk from the beach with a sea view. We used to live in them so we know they are quiet and relaxing to stay in. 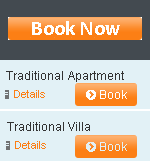 Both have 3 bedrooms but please check the price list as we have different prices depending on the number of guests. NEW FEATURE Spend half your holiday by the sea and half in the traditional village house separated by just a short drive. See the best of both worlds in Cyprus. Our half and half holiday options are proving very popular for those that would like to experience life in a typical village as well as just relaxing by the beach. If you are just looking for holiday options at this time and are not yet ready to make a booking or request availability dates perhaps you would like to sign up for our newsletter. This is where we keep our guests and friends updated on our latest specials and the events in Cyprus.